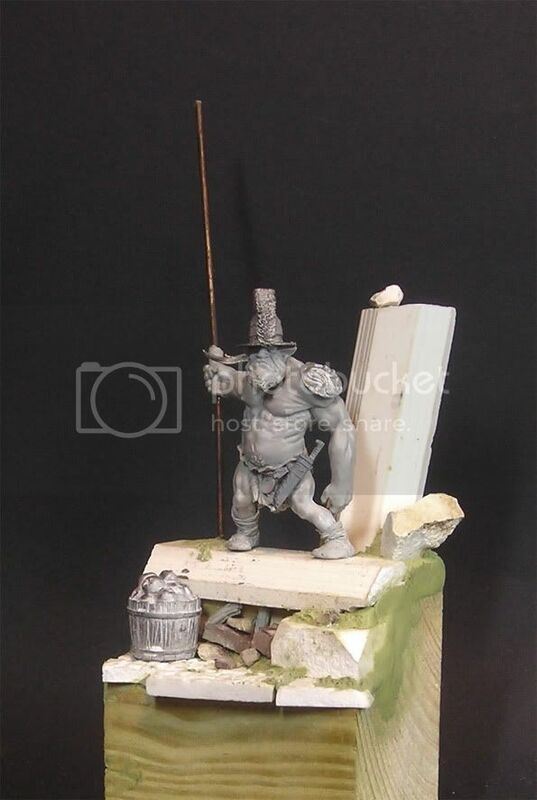 Here is a short preview of what happens at the moment... still to grow, he will be holding a big flag and the flag pole doesn't stay that way - it isn't even glued yet. 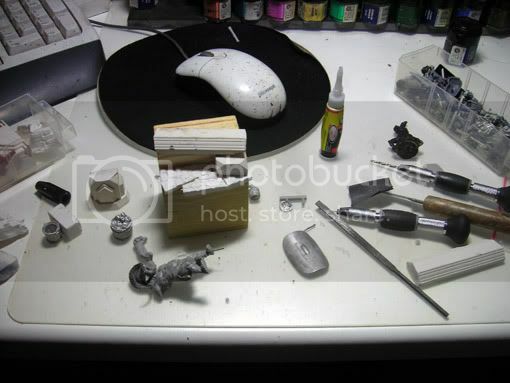 Parts used are from Rackham, the barrel with the apples, a knife from a Space Wolf from Games Workshops Space Marine Space Wulf Sprue (wow), the helmet from the Italian Warrior by Romeo Models and a shield from a Rackham Skeleton. Keep on happy doing whatever you are doing!